The main aim of this research paper is to understand the term “ Offshore Outsourcing ” and to realize the worth of Offshore Outsourcing, which stands of prime importance for every organization in U.S.A today. 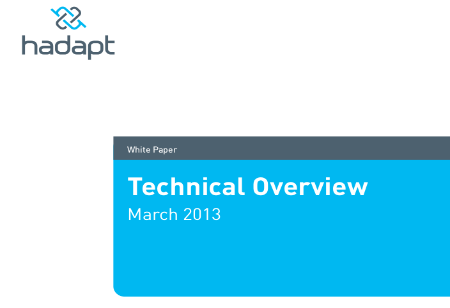 This white paper discusses how outsourcing has grown from just a business aid into a complete business in itself. This Total Economic Impact (TEI) study was conducted to examine the potential return on investment (ROI) enterprises may realize by deploying Fluid Analytics which is commissioned by Saama technologies and delivered by Forrester Consulting. Fluid Analytics enables organizations to inherently accelerate their time-to-value on analytics and BI initiatives by building out their very particular modern analytics platform or system of insight as well as unlocking valuable customer data. This Whitepaper from Saama Technologies on ‘’The Total Economic Impact of Saama Fluid Analytics’’ highlights: •An Overview of Saama Fluid Analytics •What are the risks involved in the Fluid Analytics Implementation that can affect financial costs • Four components of Total Economic Impact methodology to evaluate investment value •Determining the costs associated with the Fluid Analytics solution through economic impact study Download this whitepaper that represents multistep approach taken by Forrester for the ''Total Economic Impact analysis'' which examines the potential return on investment (ROI) that enterprises can achieve by deploying Saama Fluid Analytics Engine. Self-service BI(business intelligence) is growing with major shift from IT driven process to self service approach in Business intelligence. Instant insights with self-service reports are demanded by decision makers, as they need right data at the right time to make the right decision. 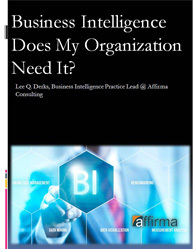 Why are organizations adopting to self-service business intelligence (BI) tools ? What advantages do self-service BI offer over traditional BI? What's the difference between "self-service" and "traditional" business intelligence? How can self-service BI improve your business? 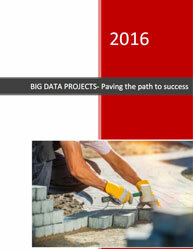 What are potential advantages and challenges of self-service business intelligence tools? 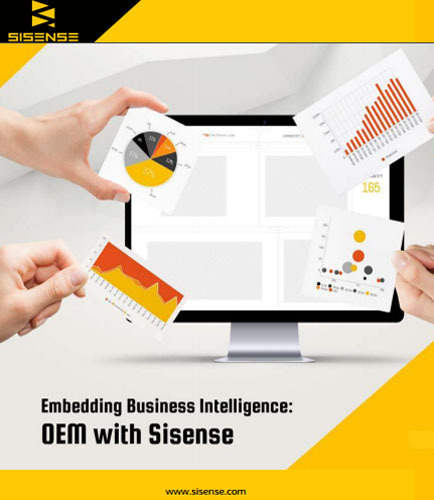 So if you want to eliminate the traditional time-consuming reporting process, self-service business intelligence tools can help you analyze what is happening in real-time. 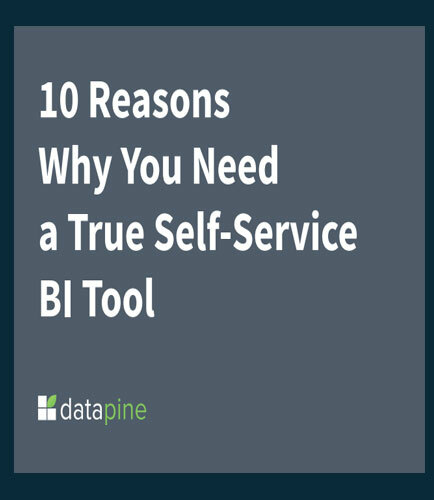 Check out this whitepaper outlining ten reasons why you need a true self-service BI solution, and what that solution should offer. 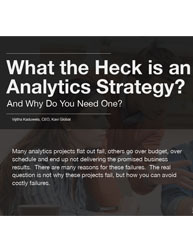 What the Heck is an Analytics Strategy? Analytics strategy has to be very closely aligned with the business strategy as business transformation is not an isolated activity. An analytics strategy can identify the gaps in terms of organization and people, processes, technology and data are and proactively address them to be successful. So, what really is an analytics strategy? The key to success is a clearly defined vision and an analytics strategy. Whether you are planning an enterprise wide analytics program to transform the business or an analytics initiative that would benefit a single department, a well-planned Analytics Strategy can make all the difference by proactively addressing the reasons for the failures. Are you struggling to bring analytics to the business strategy?? Then read this whitepaper that explores enterprise data analytics strategy, best practices, risks associated and how to mitigate them. 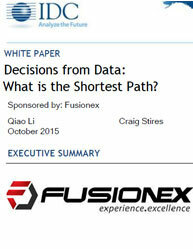 It highlights: How to successfully execute an enterprise analytics strategy? Where in the business processes can analytics strategy be applied? What are the quantifiable benefits of doing so? What are the best known strategies to prepare data for analytics? What are the keys to develop a successful analytics strategy? 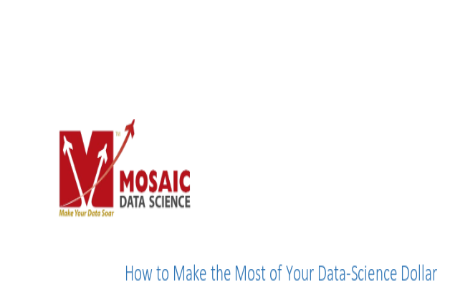 Data scientists are a scarce commodity, and are likely to remain so for years to come. At the same time, data science can create a substantial competitive advantage for early adopters who make the best use of their scarce data-science resources. data scientists often struggle to recognize that every data-science project is an optimization problem.iii In business the objective function is usually expected value, but sometimes expected value is and should be traded away to avoid the possibility of catastrophic losses. Data science has a long, highly technical learning curve. An inexperienced team with limited background has two ways to shorten its learning curve. The first is training. For example, Coursera offers a series of online classes designed to train data scientists in specific computational techniques and tools. This paper explains how management can make the most of data-science resources and opportunities, to achieve data-driven competitive advantage. Sophisticated digital marketing technology, and the dramatic increase in always-connected consumers, is increasingly pushing marketing onto the center stage of corporate strategy. Ad campaigns launched on advanced technology platforms, which include tools to perform instant analysis of huge amounts of data, enable marketers to target campaign results and ROI in ways they could only dream about just a few years ago. 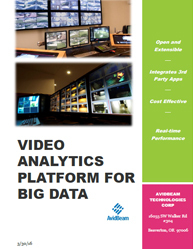 They also give the entire enterprise real-time business intelligence to drive strategy at the moment of decision. These same technologies also turn the spotlight on IT and the CIO, who now have to deliver a range of advanced new data services to the enterprise, well beyond what they’ve had to do before. Marketers who have embraced their new strategic role share some common characteristics. They understand that navigating today’s rapidly evolving digital world requires an ecosystem of partners, both inside and outside their company walls. They seize the marketing opportunities that an interconnected, real-time digital landscape presents. And they take advantage of a new generation of tools that instantly orchestrate the massive amounts of data and the many moving parts of a modern media campaign. It’s now critically important that the CMO work strategically across department lines with CIOs and IT. CMOs need to evangelize their goals, strategies, and methods with the CIO to be sure IT can effectively align behind them. And the CIO needs to help marketing understand the capabilities and services they can provide and how to most effectively interface with IT processes. And, further, the CIO needs to be sure to have preexisting relationships with the right technology providers and Systems Integrators (SIs) to be sure they can quickly deliver new capabilities as dictated by rapidly evolving strategic goals. How to empower business users with information based user interface? Nowadays, organizations are looking for a way to more effectively empower business users to create, manage, and optimize the online experience for their visitors in a fiercely competitive environment. This whitepaper outlines the key capabilities that can empower business users to drive effective value on the web through a contextual approach and contextual digital online strategy. It also addresses: How can you empower business users to address the increasing demands of the evolving web? What are the five fundamental prerequisites essential for content creation and management in user interface? What are the benefits of information based user interface over traditional WCM system? 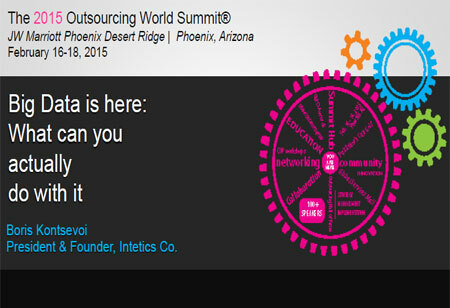 Why traditional WCM editorial tools are falling short of meeting firms needs? How to use advanced web user interface to enhance productivity and empower business users? 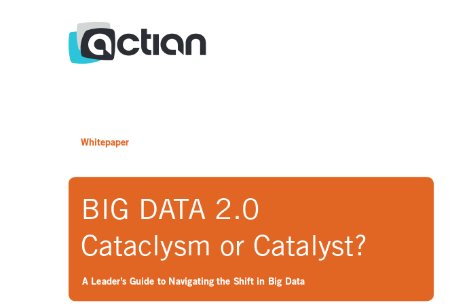 BIG DATA 2.0 - Cataclysm or Catalyst? 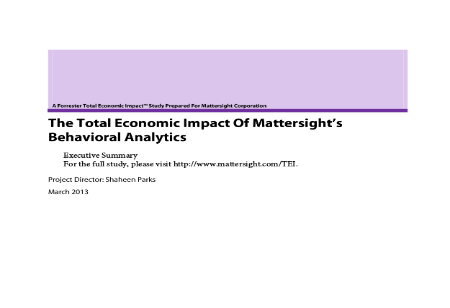 In a comprehensive six month study conducted in 2012, Mattersight Corporation ("Mattersight") commissioned Forrester Consulting to examine the total economic impact and potential return on investment (ROI) enterprises may realize by deploying its Behavioral Analytics platform. The Behavioral Analytics platform captures customer and employee interactions, and then automatically analyzes those interactions using proprietary algorithms and unique behavioral models. The output of this analysis is new data attributes on every interaction measuring customer expectations and behaviors, as well as employee performance. 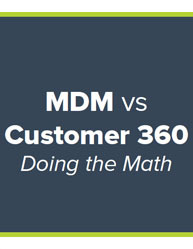 This data is then leveraged by three primary products which comprise Mattersight's Behavioral Analytics platform to drive significant business value - Predictive Behavioral Routing, Predictive Customer Analytics and Employee Performance Management. 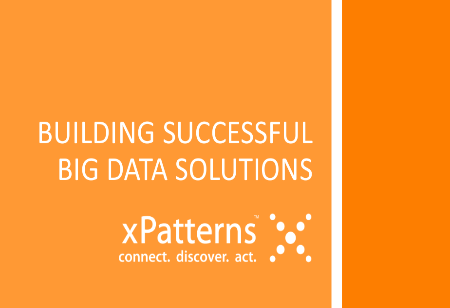 Today, business leaders see big data as a valuable competitive advantage. High-volume, disparate data - particularly internet- and social media based data - is increasingly important for enterprises as they seek to glean insights about their globally dispersed workforces and customers. Yet one principal challenge remains: how to derive timely and meaningful value from the growing masses of structured and unstructured data, when traditional platforms lack flexibility and demand significant capital expenditure. Hadapt is ushering data analytics into the future with its Adaptive Analytical Platform, an extensible, interactive SQL interface to Apache Hadoop. While most businesses are heavily invested in effective, well-established data warehouses, operational data stores, data marts, and business intelligence tools to mine and analyze structured data, many still do not have a clear approach for analyzing unstructured and semi-structured data such as audio, clickstreams, graphics, log files, raw text, social media messages, and video. Organizations understand that legacy relational database approaches are neither cost-effective nor efficient for unlocking the wealth of information in unstructured data. Yet companies continue to devote the majority of their resources to managing the smallest portion of their data (structured), while moving the majority of their data (unstructured) into special-purpose databases or content management systems with little or no analytic capabilities. Standards play a central role in creating an ecosystem that supports current and future needs for broad, real-time use of predictive analytics in an era of Big Data. Just a few years ago it was common to develop a predictive analytic model using a single proprietary tool against a sample of structured data. 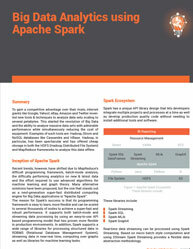 This would then be applied in batch, storing scores for future use in a database or data warehouse. Recently this model has been disrupted. There is a move to real-time scoring, calculating the value of predictive analytic models when they are needed rather than looking for them in a database. 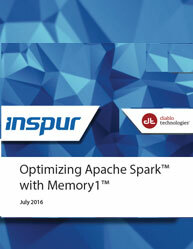 At the same time the variety of model execution platforms has expanded with in-database execution, columnar and in-memory databases as well as MapReduce-based execution becoming increasingly common. The Power Exchange Informatica Connector for Google Analytics is designed to integrate Google Analytics sources within Informatica PowerCenter installations. With the capabilities provided by the connector, user can extract data from Google Analytics through Informatica PowerCenter platform. It also enables the processing of data stored in Google Analytics using different Informatica transformations. Google Analytics Informatica Connector resides under the Informatica as a Source definition in the Client. The source definition contains the fields (dimensions or metrics) for which the data is to be fetched from Google Analytics Server (Data store). The server component is responsible for actual data transfer from Google Analytics server. The data is fetched from the Google Analytics server for the dimensions and metrics user has opted for. The data is then converted to Informatica understandable format and flushed to the next stage in the Informatica pipeline.